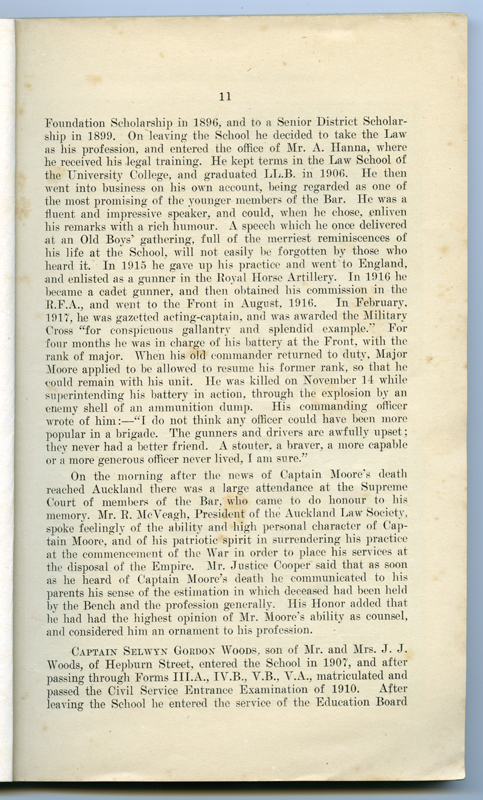 Obituary: Auckland Grammar School Chronicle. 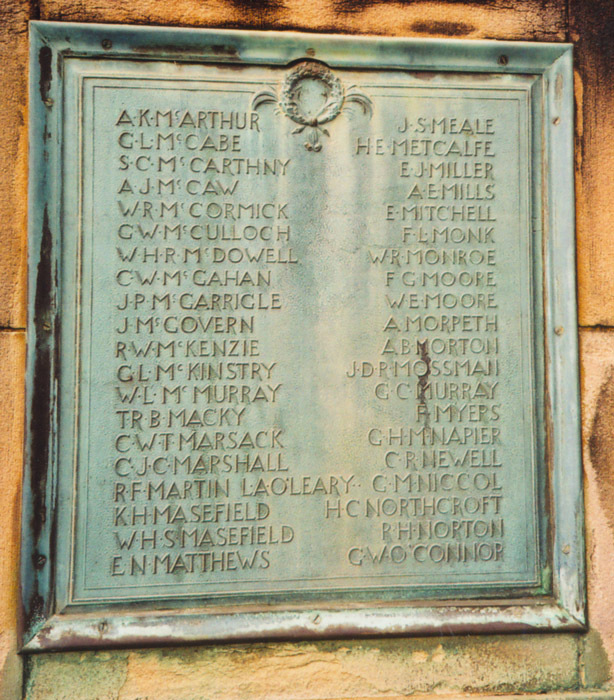 Second Term, 1918. 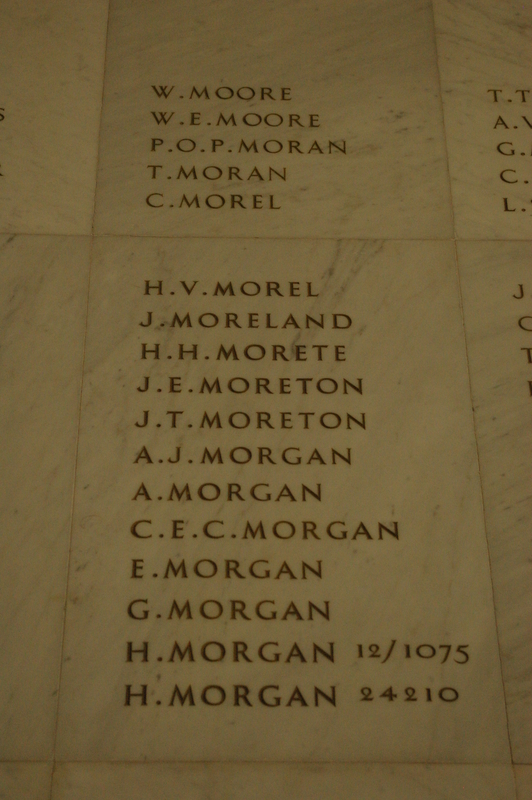 Remember William Ernest Moore by laying a poppy. 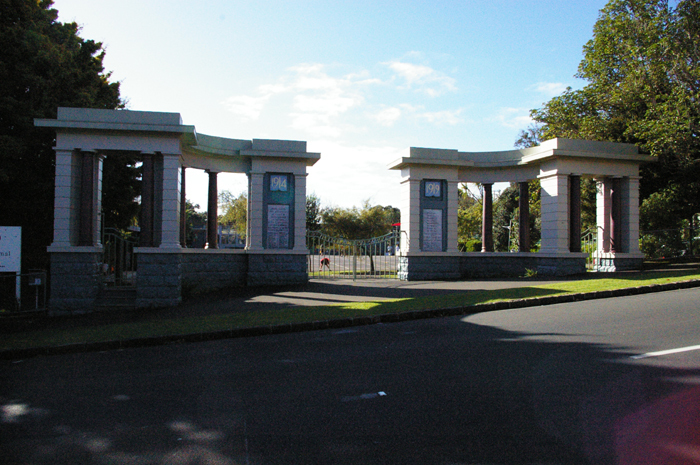 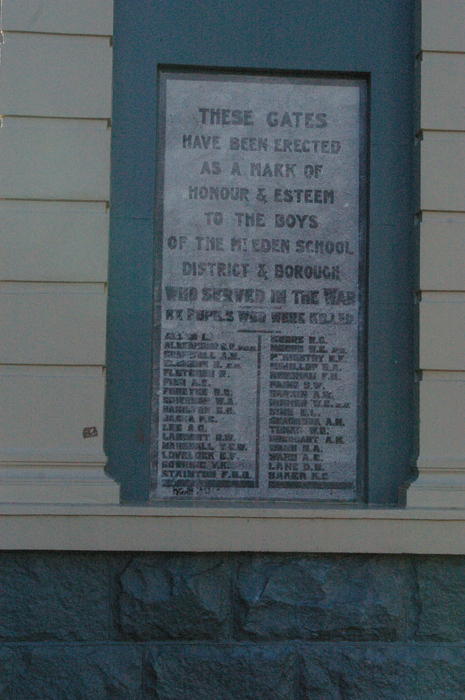 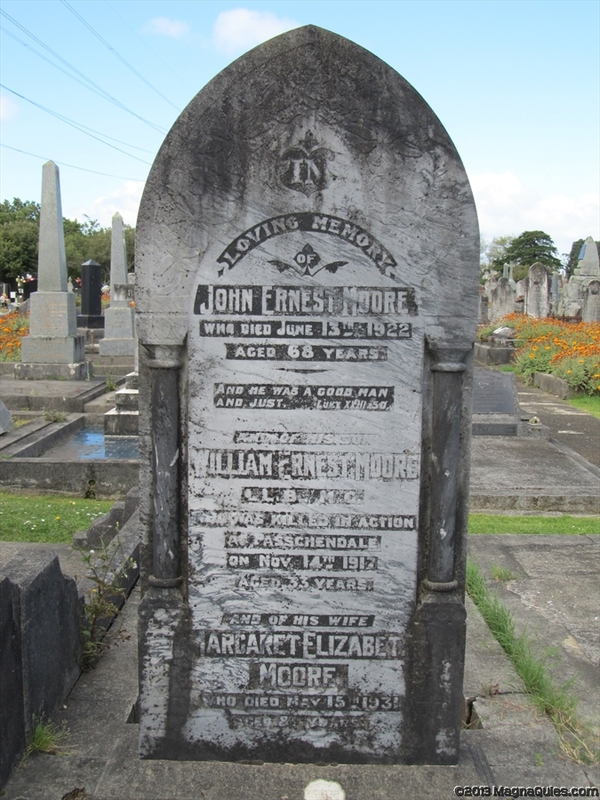 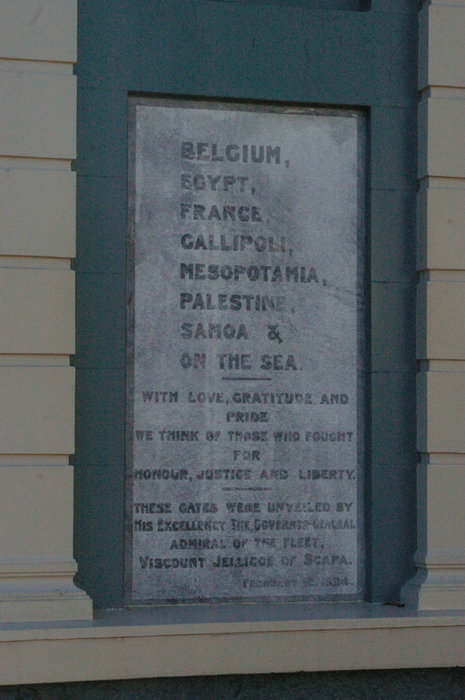 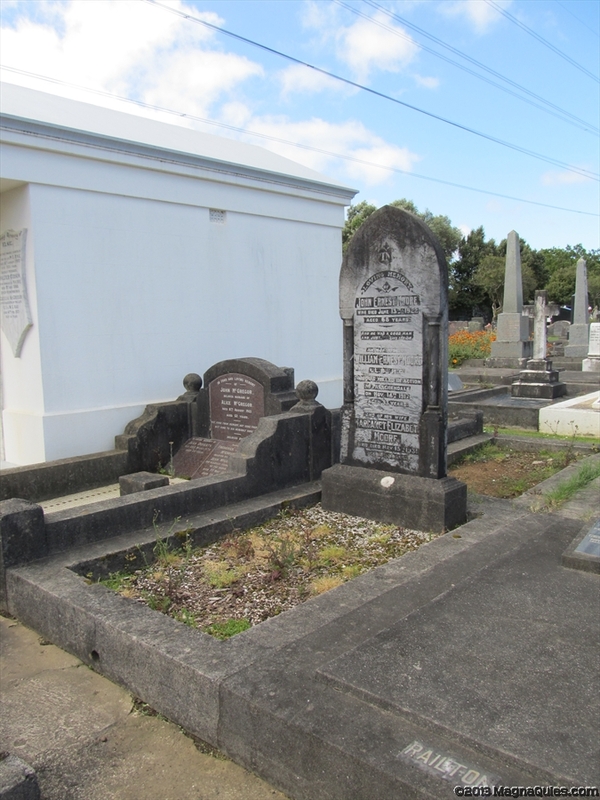 "I have just heard of the death in action of W. E. Moore, a well-known Auckland Solicitor. 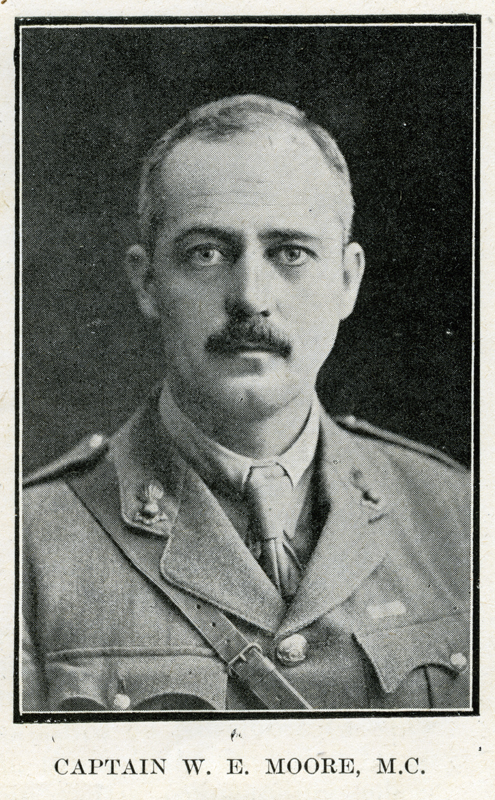 He had distinguished himself as a soldier and been decorated for bravery, and he once paid me the compliment of saying he would like to have me in his office".